Now I will be the first to admit, I am not the biggest fan of this dark red vegetable but that doesn’t mean it isn’t packed full of nutrients that our body needs. That dark red-purple color is nature’s way of letting the world know this vegetable is packed with antioxidants. Beets are also excellent sources of fiber, folate, magnesium, and calcium. Like my mom always said, “if you don’t like it, fry it!” So if you’re like me and need to convince yourself to try it out, try turning this vegetable into a beet chip. Still getting those nutrients with a GREAT taste. Check out the recipe below! Preheat oven to 350°. Line several baking sheets with parchment paper. Using a mandoline, thinly slice beets to a thickness of 1/16″. In a large bowl, toss beet slices with oil to coat evenly. On prepared baking sheets, in a single layer, arrange as many slices as will fit without crowding. Bake until crisp, 25-30 minutes, rotating pans once halfway through baking. Cool chips and blot with paper towels to remove any excess oil. Repeat, using a cool prepared baking sheet for each batch, until all beet slices are baked. Toss chips with 1/4 teaspoon salt and pepper to taste. Don’t Fall for These Food Labels! People want to make healthier food choices these days, so food manufacturing companies are trying to appease to the market by putting a “healthy” spin on their products. Unfortunately, this doesn’t always mean they are healthy. Companies will add things such as “made with real fruit” and “multi-grain” to their products as just another way to dress up refined flour and sugar. Don’t fall for it! Here are some labels for you to watch out for the next time you are at the store and looking to buy a product that is a bit more healthy. Keep in mind, few yogurts today are even a health win because of all the added sugars, she added. It’s likely that even if the product is made with yogurt powder, it contains no calcium and only a negligible amount of protein. This can mean any number of things, including that a food is made with fruit puree (often a lower-cost fruit such as apple, pear, or grape) or sweetened with fruit juices. But it doesn’t necessarily mean it contains the vitamins or fiber you’d find in actual fruits, Companies are selling fruit juice or puree, plus a lot of sugar. “Multigrain” indicates, literally, that multiple grains were used in the product (there are other common labels that indicate the same thing, like “seven-grain”). But it does not necessarily mean whole grains. In fact, the multiple grains in the product may all be refined and stripped of their natural nutrients and fiber. While whole grains are a good place to start, a food “made with whole grains” may actually contain mostly refined flour, supplemented by a small amount of whole grain flour — one trick is to check which appears first on the ingredients list. The most honest labels are the ones that disclose the percentage of whole gains used. With so many food companies trying to compete in this new healthy industry, it can be kind of hard to make sure you are truly getting something healthy. So be sure to always read the label and nutritional information and use your best judgment! You know your body better than anyone else. 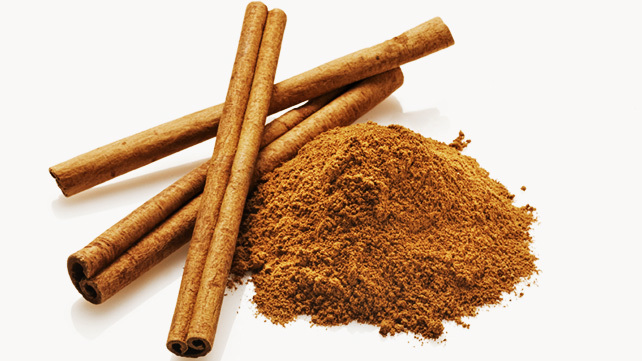 Cinnamon has some of the highest antioxidant levels of any spice and many foods. It’s not just for cinnamon toast or seasonal baking. Cinnamon can be easy sprinkled over many dishes or made into a tea to warm your heart and soul on cold mornings. It may also lower cholesterol and is showing some interesting promise in helping to control blood sugar.